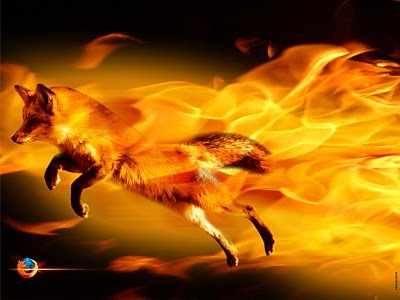 You all must aware of the fact that both IE9 and Firefox 4 was released within a span of two weeks and both of them are considered highly improved versions their predecessors. Now here are some interesting download statistics of both the browsers. Firefox 4 was download 7.1 million times in the first 24 hours and 8.75 million times in the second day. On the other hand, IE9 was downloaded only 2.3 million times. That is a pretty huge difference when you consider the fact the IE has been the most popular web browser in the world for almost a decade now, though some statistics do show that IE is on a steady decline and it's current market share has reached below 50% for the first time in 11 years. 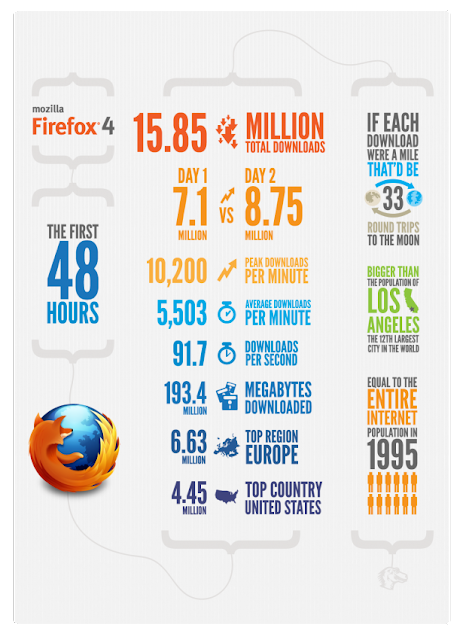 Now here is an interesting chart showing the Firefox 4 download statistics. Now if you don't know how to install or upgrade to the latest Firefox 4 in Ubuntu, follow the instructions here. Have a nice weekend.